Mascot Studio's 13th Annual Dog Show! 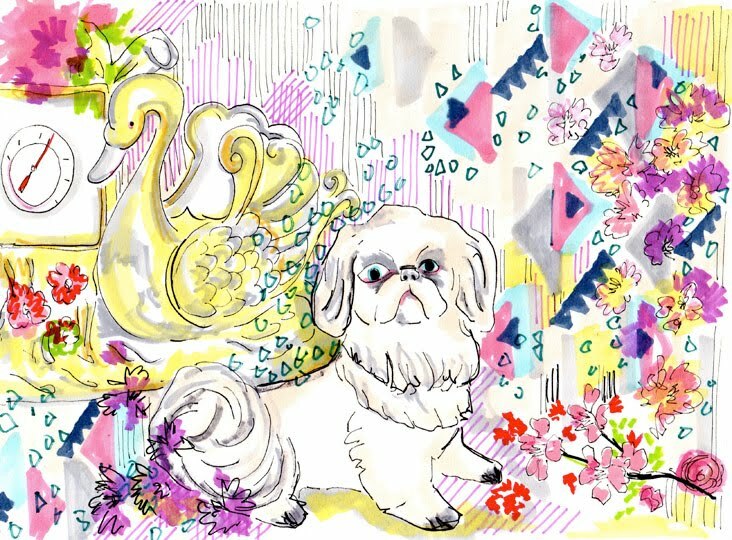 January 23, 2012 in "Anne Watkins", "Boston Terrier", "Dog Illustration", "Martha Stewart Living", "Mascot Studio's 13th Annual Dog Show", "bow tie", "embroidery", "new york", "pugs", "ribbon work"
So it looks like I will have some work showing at Mascot Studio's 13th Annual Dog Show. Anne Watkins, another artist featured in Martha Stewarts Holiday Gift Guide gave me the heads up to contact Peter the owner of Mascot Studios and after a few e-mails it looks like I will be part of the show! Very excited, just wish I could head back to New York, I love New York. It looks like there may be a few embroidery's being shown. Thanks Martha, thanks Anne, thanks Peter.